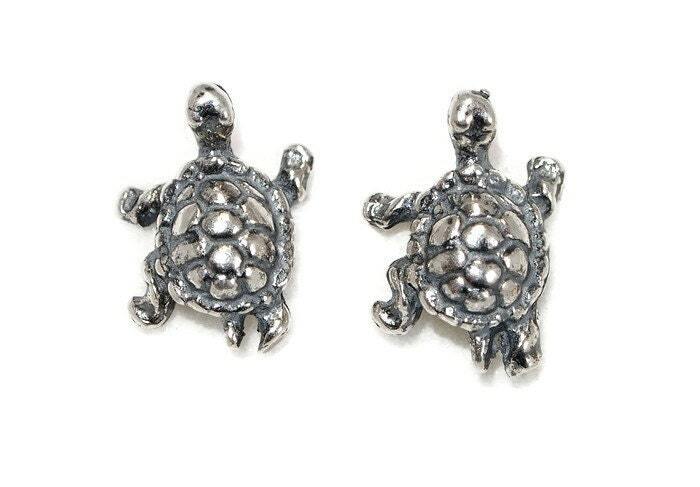 These sterling silver turtle earrings are from a collection of master designs I got from a retiring jeweller here in Montreal. 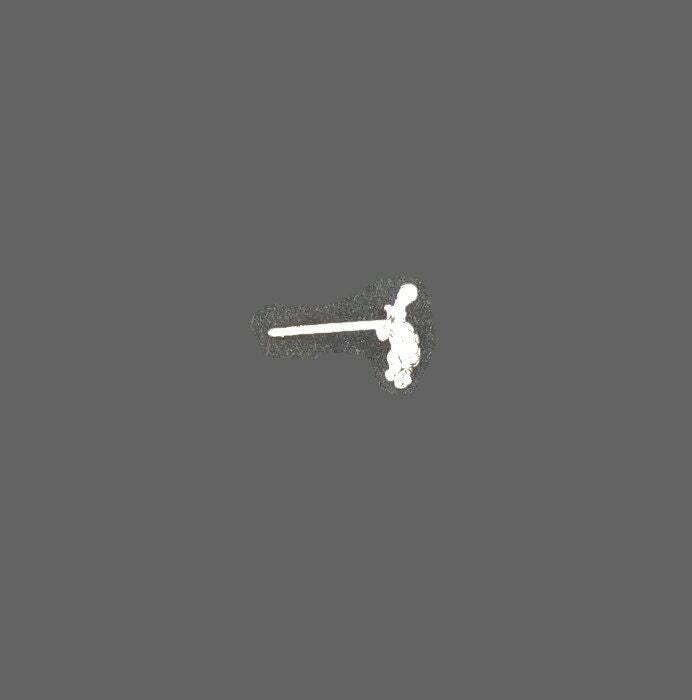 The earrings are 0.8cm wide and 1cm high with an earring post soldered on it. They are small enough for all ages, and can also be worn as a secondary stud. The original design dates from the 40's-50's, but I made a new mold and started making them in silver to introduce to a new audience! Shipped quickly but had very long transit time. Nothing that can be done about that though. Plus petites que je croyais toutefois.